When Rory McIlroy won the Open Championship at Royal Liverpool in 2014 he had won three of the four legs of golf’s Grand Slam. He’s still waiting on the Masters. 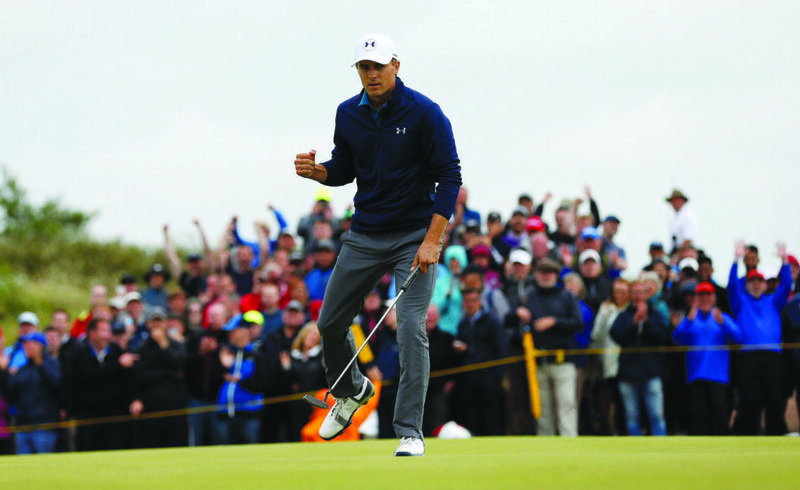 When Jordan Spieth won the Open Championship at Royal Birkdale last July, he had won three of the four legs of golf’s Grand Slam. Aged not quite 24 (which birthday arrived four days after he had holed the winning putt in Southport), he joined Jack Nicklaus as the only golfer to have won three by the tender age of 23. You know something fairly astonishing has occurred on the all-time record lists when Tiger Woods is not your go-to comparison, and what Spieth did over the closing holes at Birkdale was indeed also astonishing. 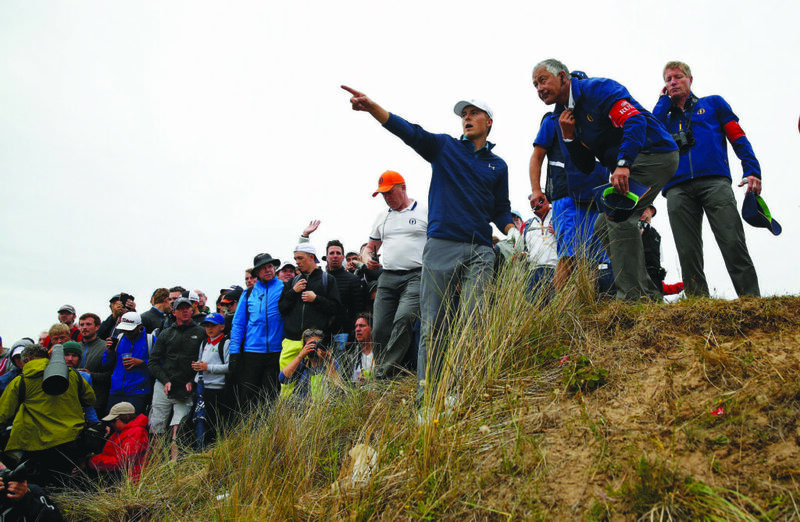 Standing on the 13th tee in a tie for the lead with his playing partner, Matt Kuchar, having led by three at the start of play, Spieth proceeded to hit a drive that was so wild it left the golf course to the right. Fortunately, the bit where it departed from the charted terrain was not designated as out-of-bounds. It was, however, about 80 yards from where he’d been aiming. By the time he had figured out where to take a drop under penalty, which happened to be on the practice range, 18 minutes had elapsed, this occurring with regard to a two-ball that had been put on the clock at the beginning of the back nine. Still, this was starting over, and that’s what Jordan duly did. 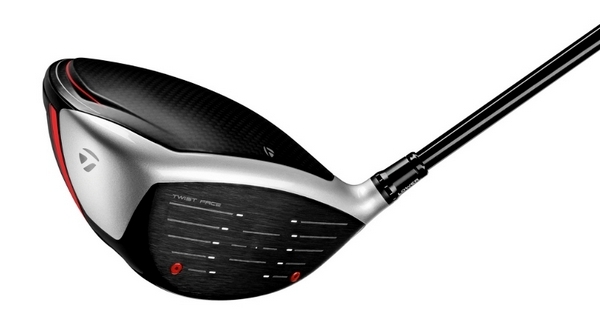 He had a shot of about 230 yards and he went at it with his driving iron. He got his ball close to the green, hit a nifty chip to eight feet and downed the putt. The great escape having been successfully planned and executed, his putter was back on song. It had been dreadfully behaved on the front nine, culminating in a miss from two feet at the 9th, but as if inspired by getting away with a bogey five on a hole where he probably deserved to have taken seven (his caddie, Michael Greller, said as they left the green: “Hey, that’s a momentum shift right there”), Spieth went to work with a vengeance. He’d kept Kuchar waiting a very long time – “I apologised profusely to Matt for the amount of time it took,” he admitted. “I didn’t feel that was necessarily fair to him but I needed to do what I could” – and now he was going to make him suffer. Referring to their respective places in history, a gracious Jack Nicklaus said later that day: “Much was said about the fact that Jordan and I were able to win three legs of the Grand Slam before the age of 24. But if you look, he’s won 11 tournaments and I had won eight before 24. If you look at his victory total, his win at the Open and the way he won, Jordan has shown an amazing display of maturity for one so young.” (BTW, it took the Golden Bear just 16 majors to get to win No. 3; it took Spieth 19. Tiger took 20). 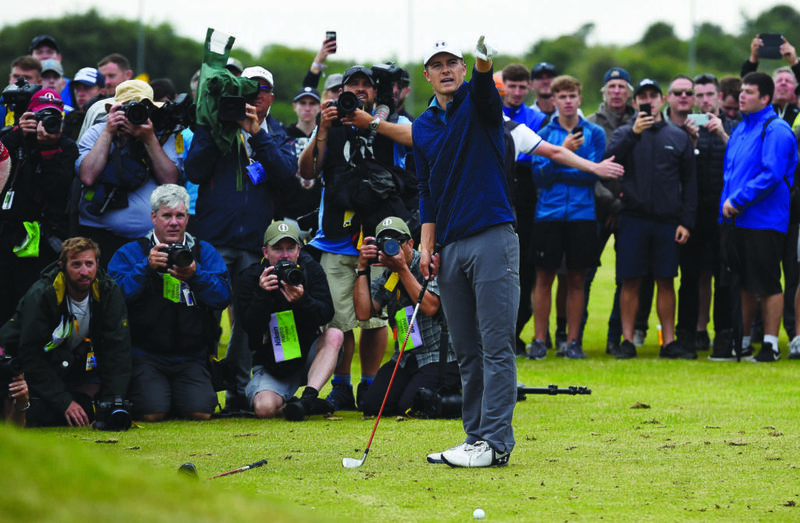 Given the lead Spieth held on Sunday morning (other than Kuchar, no one else was within six strokes of him), and the thoroughly composed manner in which he had played throughout the week, the view of most people was that it was already over. But then people remembered what had happened at the Masters last season and wondered if Spieth might blow this one as well. And when he sent his drive into the middle of nowhere on the 13th, such thoughts resurfaced and that word ‘choke’ sprang horribly to prominence. At the 2016 Masters, Spieth had held a five-shot lead with nine holes to play. What’s that I hear you say – “every- one knows the Masters doesn’t begin until the back nine on Sunday”. Well, in our house it was over. I tamely conceded possession of the remote to my wife and got on with something else. 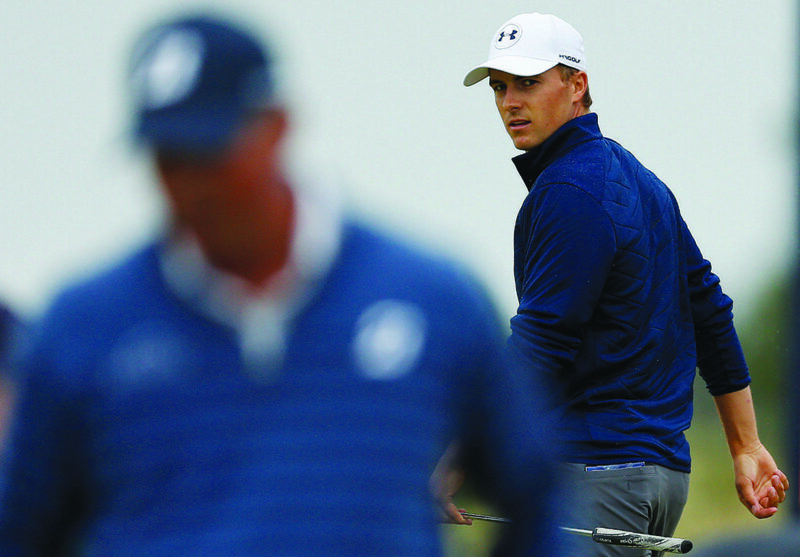 By the time I got the zapper back, Danny Willett was playing an exquisite chip shot from over the back of the 17th green to set himself up for the green jacket and, judging from the leaderboard, something quite shocking had happened to Spieth. As I soon found out, he’d bogeyed 10 and 11 and then taken seven on the 12th. “This one will hurt,” he said in the immediate aftermath of that. “It will take a while.” This year he admitted to thinking about ‘How could I not close out a five-stroke led with nine to play?’ He added on Sunday evening at Birkdale: “Closing today was extremely important for the way I look at myself. Thoughts came in from my last scenario when I was leading a major on a Sunday. I put a lot of pressure on myself thinking this was the best opportunity I’ve had since the 2016 Masters. I knew another major would be the one thing that would get me completely over the hill.” And it probably has, although only time will confirm that. There are fine margins in play here. Like I said, on the front nine at Birkdale he putted horribly, resembling nothing like the man who has routinely been the hottest clutch putter since Woods was in his prime. But when it really mattered, really mattered, that golden blade of his came through. I then remembered a piece in Golf Digest, written between Spieth’s wins at the Masters and US Open in 2015. For an instruction article, he was putting down a 90-foot corridor in the Sawgrass Marriott Hotel, the intended target being a cocktail glass. After a few misses, Jordan noticed a kink in the carpet. “Move the cup like just that much to the left,” he said, meaning by an inch. The next one went in. After a couple more misses, he nailed three in a row. From 90 feet! Into a highball glass. With a putting stroke like that, it’s perhaps hardly surprising that by the end of many a tournament week he has frequently been the low ball. OK, so after events in the USPGA Championship at Quail Hollow in mid August, Spieth is still waiting on that career Grand Slam. Rory McIlroy will have the same target in mind at Augusta next April. 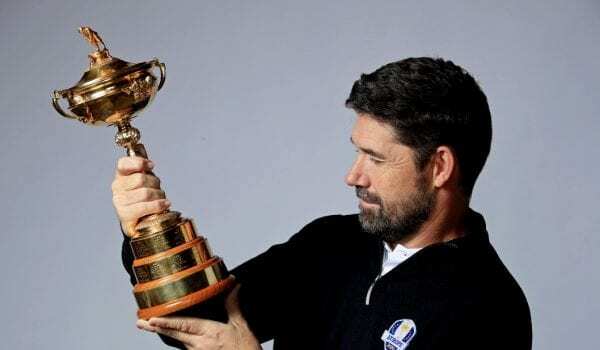 Whoever might get there first, there are two men potentially on the threshold of soon joining that exclusive club which presently has admitted only Messrs Jones, Sarazen, Hogan, Player, Nicklaus and Woods.